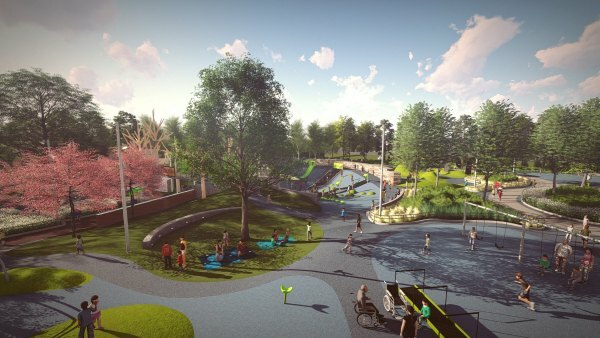 Planners of a $6 million park remodeling project in the city of La Crosse say it will be a rarity in the United States — a place where people with cognitive, sensory and physical disabilities can play together. "This park is for all abilities. It’s ADA-compliant and people use the word inclusive — and there are a lot of inclusive parks around the country and in the state of Wisconsin. There are only five parks like this in the United States. It’s different," said La Crosse Parks Director Steve Carlyon. 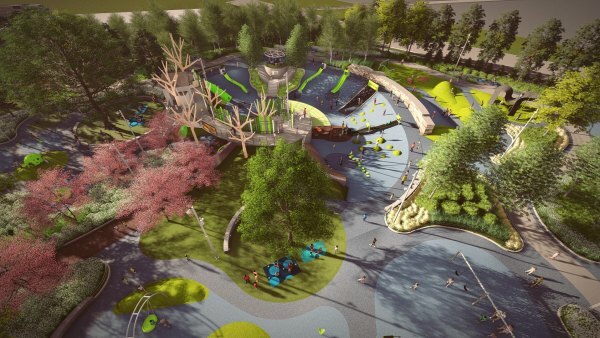 Planning for the All Abilities Trane Park has been in the works for about six years, since the parents of children with Autism spectrum disorders approached city leaders because there was no park that was appropriate to meet their children’s needs. "When I was young and grew up, people with disabilities, particularly social, or cognitive, or mental, were institutionalized. That was the way they dealt with these problems," Carlyon said, "Today, that’s not the case. We feel that every child has the right to play." La Crosse’s two major medical centers and two universities have provided input on the park’s design and specialized playground equipment. Carlyon said the physical therapy and therapeutic recreation programs at the University of Wisconsin-La Crosse and sports medicine program at Viterbo University will use the park as a learning tool once it's completed. Most of the project cost is going toward the specialized equipment and landscaping. A zipline is also part of the project. "I like to call it a Disney World concept where we have six to seven different zones and some of those zones would be for sliding, for swaying, early childhood. There also is a wellness area," said project board president Fran Formanek. "Any kind of person with any kind of disability, cognitive or physical, is going to be able to enjoy the park." Trane Park has been a part of the city’s park system since the 1950s. The 2.3 acres of land was a gift to the city from Trane Company employees and named to honor the founder Reuben Trane. The new park will replace an existing park, which includes a shelter, softball diamond and soccer field. "At one point, it was probably pretty highly utilized, but it’s a very tired park. There’s not much out there anymore," Carlyon said. "The demographics around the area that we found, it’s primarily a lot of younger families moving in, so it needs to be refreshed." Formanek said more than half of the estimated $6 million fundraising goal was raised by earlier this summer. The city and county of La Crosse are contributing about a quarter of the funding. Fundraising began in early 2016. Formanek said they hope to begin the remodeling this fall with a goal to open the new park next July.